Beside just recording, your rear camera of BlackVue can assist as a reverse camera as well. 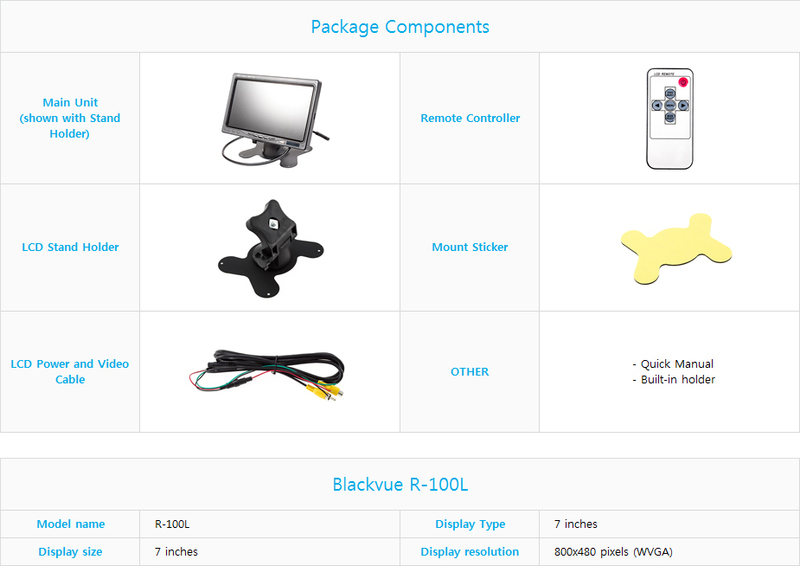 The Rearview Kit connects your BlackVue rear camera to the screen (either the embedded one or to an optional LCD display in the vehicle). When you engage the reverse gear, image from the rear camera will be mirrored by the R-100 and live view will be output automatically to the screen. ​Ideal for large vehicles and trucks fitted with BlackVue.